Originally discovered and named Varroa jacobsoni in Indonesia in 1904, varroa established a strong foothold in many eastern countries and eventually moved to America. The mite was detected there in 1987. During that time, scientists learned that the jacobsoni species of varroa was not the one causing all the damage to our European honeybees. They found that V. destructor is the name of the mite that feeds on the blood of apis mellifera, our European honeybee. Varroa destructor is a crab shaped parasite that is 1.09-1.5mm long by 1.5-1.58mm wide. In other words very, very small. They feed on the hemolymph (bee blood) of brood and adult bees. This cripples the honeybees and spreads fatal diseases throughout the hive. The best way to prevent these tiny monsters from slipping in under your nose is to perform a mite count. A mite count will give you an idea of how badly infested your hive(s) are. 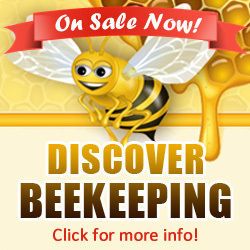 Unfortunately, there is not a precisely accurate way of doing this but, beekeepers have a few tricks up their sleeve. There are a few methods that are generally reliable and good indicators if nothing else. The 2 most common ways to do a mite count are the sugar shake and sticky board. A sugar shake is a simple and quick method. Scoop 200-300 bees(or 1/3 of a jar full) into a quart size jar with a fine-mesh screen top. Quickly screw on the top, cover the screen and shake the jar until all the bees are covered in sugar. Sift the sugar out into a bowl, then release the bees. Put just enough water into the bowl to dissolve the sugar and count the mites. Do this once a day for three days and then use the average number to determine whether or not to treat. Around 50 mites indicates that you need to treat. A sticky board is also a popular way to check for mites. It is a little more time consuming and requires a screen bottom board but, it’s a little less work. You purchase or make a sticky board. Then slide it under the screened bottom board. Leave it there for three days then remove it and count the number of mites. Divide the number by three to find the average amount of mites, then determine if you should treat. Fifty varroa mites are a good threshold in this method too. 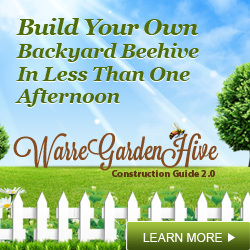 Install screen bottom boards – so mites that fall cannot climb back up. Use small cell comb – to make less room for mites to live in the cells. Rotate old comb roughly around every 3 years – to make your hive less attractive to parasites and diseases in general. Occasionally remove drone comb – since varroa take advantage of these larger cells and reproduce mainly in them. And/ or re-queen with mite resistant stock. Most importantly, keep your bees healthy and strong. Varroa are a serious threat, in spite of their size, but good hive maintenance and diligent beekeeping will go a long way in preventing any serious problems. I noticed little dots on the bees and I think I saw a crab shaped little bug, female varroa? I’m soo sad!!! I have a new package of bees coming soon, and I need to clean or sanitize clean the hive out before I put the package in. Can I use the same frames? Should I wash the supers? Put it in the freezer? Essential oil spray?… I’m having a hard time figuring out what to do. Help please!